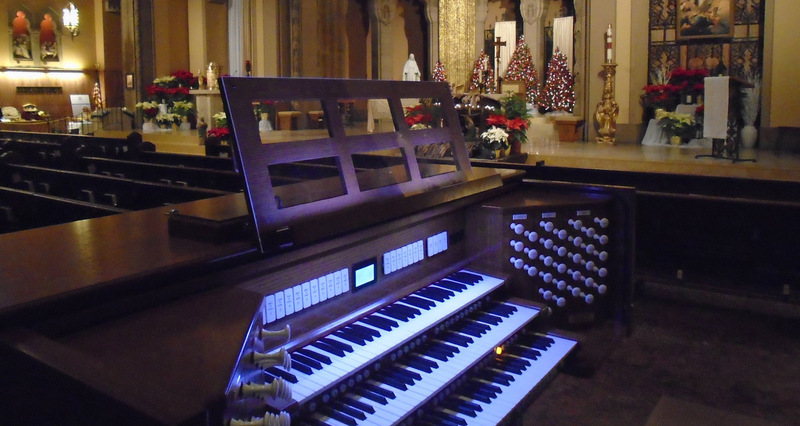 The newly-installed, Rodgers Infinity 361 Organ will be dedicated to the memory of Cardinal Francis George on April 17, the anniversary of his death. Cardinal George was born in Chicago, was raised in this Parish, and was ordained to the ministry @ St. Pascal Church in 1963. 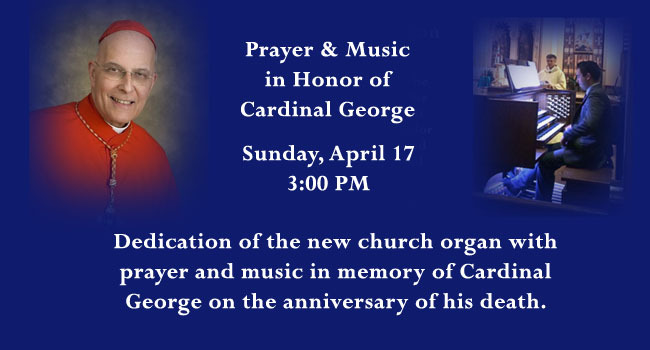 This will be a service of prayer and music honoring his life and ministry during the solemn dedication of this spectacular new Rodgers Organ (pictured to the right).